It is a pleasure to introduce you to The Salvation Army Bendigo Corps. Within our church, we work alongside others to make a difference. Wherever there are injustices and hardship, we endeavour to bring the love of Jesus to transform our community, one life at a time. We regularly witness the love of Jesus changing lives—from one of despair—to hope and a purpose. As a church, we meet together weekly to celebrate this. We understand you might be finding it tough on your own and we want to come alongside you on your journey and help. We offer a place and a community where you can belong and make a difference. We hope you’ll join us. Bendigo Corps offer a range of services to assist the local community to thrive in life. Please view what we offer. 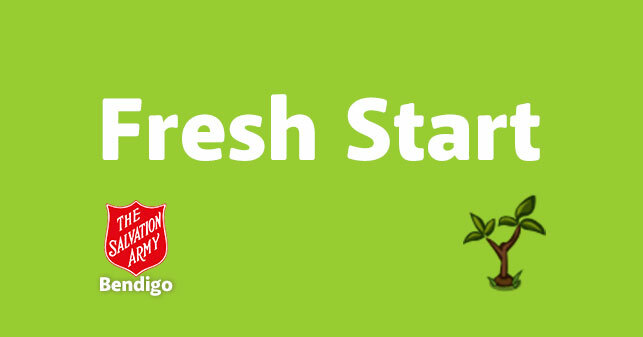 At the Bendigo Salvos we believe every person can make a Fresh Start in life. No matter what has happened in your life, it is never too late to start again. We have a range of programs to help you make a Fresh Start physically, emotionally and spiritually. We believe Jesus came to earth so we can be forgiven for our past and start life anew with God. We encourage you to join us at our weekly worship service where you can discover how to make a Fresh Start with God. At the Bendigo Salvos we believe that God wants every person to Thrive in life. We Thrive as human beings when we live out a life of meaning and purpose. We believe the best way to discover this meaning and purpose is in community, with God and with others. We have a range of small groups where you can discover your purpose and be equipped to Thrive. At the Bendigo Salvos we believe that God wants us to Thrive so we can Change the World for the better. God wants to bless you so that you can bless others around you. 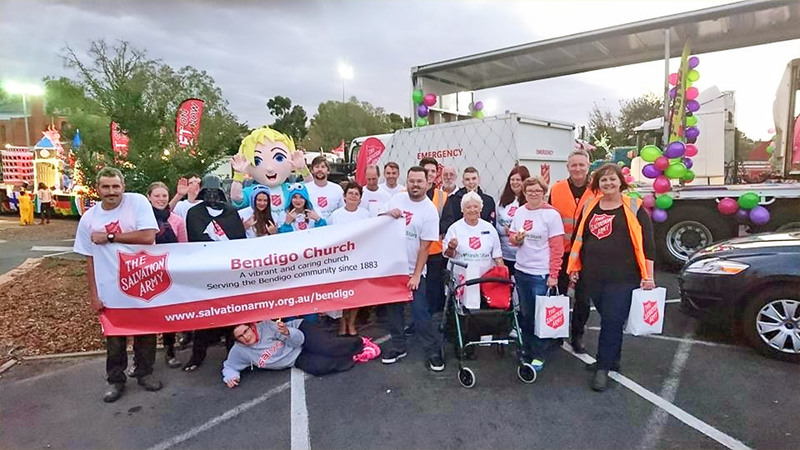 Here at the Bendigo Salvos we have a wide variety of volunteer and ministry opportunities where you can make a positive difference in our community and our world. Every Sunday we get together to worship our Lord and Saviour Jesus Christ. You are invited to come along and discover Him for yourself. Our worship is a celebration of praise, music, testimony and bible based messages which are designed to give glory to God and teach us about His blessings. You are also invited to stay for refreshments after the service, so we can get to know you!